WyeSoft Lua Calc is a highly customisable scientific calculator, powered by the Lua scripting language. Knowledge of Lua scripting is not required to use Lua Calc as a scientific calculator, but it will allow you to use the software for more complex tasks, as you can make use of Lua functions in your calculations. 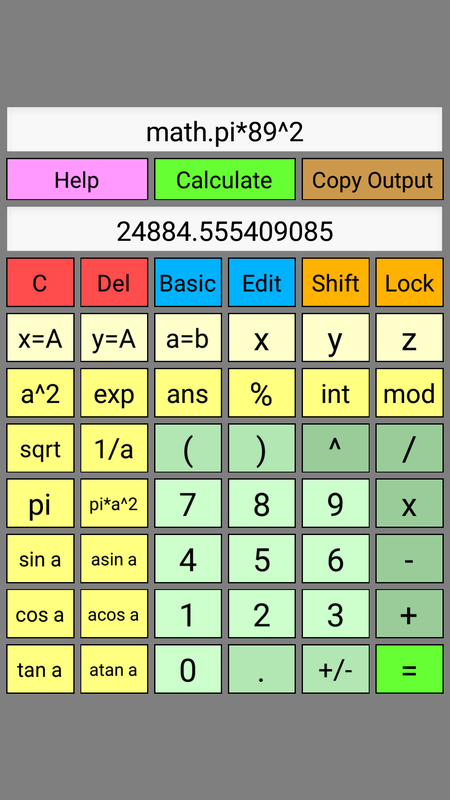 In the full version, the scientific keypad is made up of 42 customisable keys (84 including the shifted versions), which can be configured to perform virtually any mathematical function. 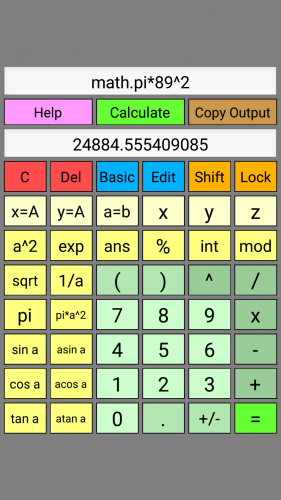 The free version only has 36 keys and lacks the key editor feature. 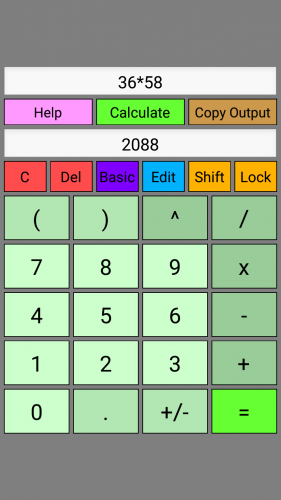 There is also a basic keypad which allows you to use Lua Calc as a simple calculator with larger buttons. Variables can be stored and recalled, and it is even possible to save them between sessions in the full version. 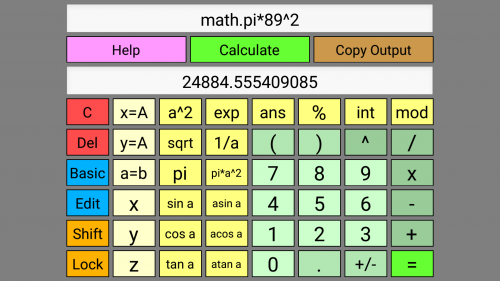 As well as a powerful calculator, Lua Calc can be a great aid to programmers, and can even help with learning Lua or programming in general.